The following table and map show the areas in Ireland, previously designated as Cities, Boroughs, or Towns in the Local Government Act 2001. Under the Local Government Reform Act 2014, only Dublin, Cork and Galway retain separate city councils. Limerick and Waterford were merged into the corresponding county councils and all borough and town councils were abolished. Municipal districts were created from local electoral areas, with councillors being those elected to the county councils. 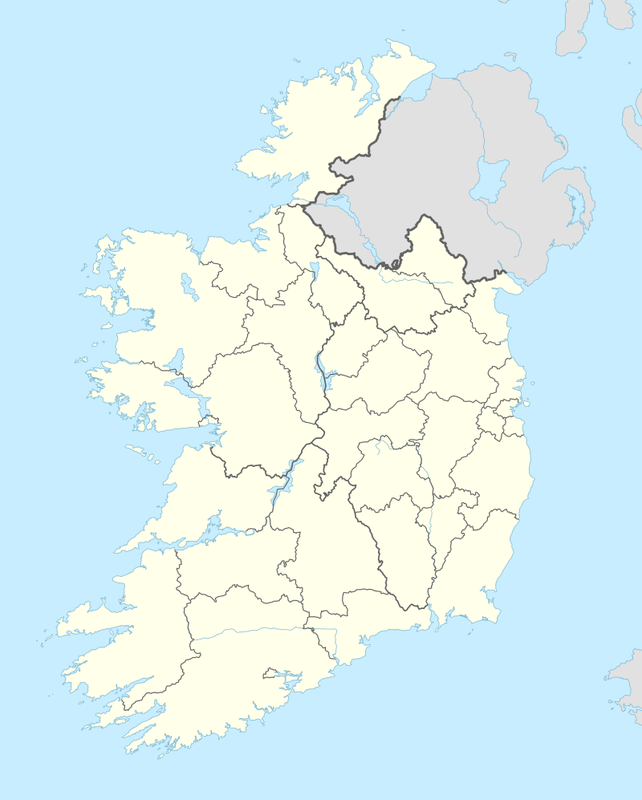 In the case of Limerick and Waterford, these are called Metropolitan Districts, while in the case of Drogheda, Wexford, Sligo and Clonmel, these are called Borough Districts. For the few ancient boroughs whose charters were not extinguished by the Municipal Corporations (Ireland) Act 1840 or promoted to the status later. Their powers are practically identical to those of the former urban districts, but the label "borough" is more prestigious. Abolished in 2014. Town council which was formerly an urban district council under the Local Government (Ireland) Act 1898. Abolished in 2014. Town council which was formerly town commissioners, less powerful than an urban district council. Abolished in 2014. ^ a b c Kilkenny is a Borough for administrative purposes. It retains the right to the description "City" for ceremonial purposes. ^ a b c d City boundary extended after the 2006 census and before the 2009 election. ^ a b c d Borough boundary extended after the 2006 census and before the 2009 election. ^ a b c d Town boundary extended after the 2006 census and before the 2009 election. ^ "Local Government Reform Act 2014". Irish Statute Book. 27 January 2014. Retrieved 30 January 2019. ^ Census 2011 Population Classified by Area Table 12 "Alphabetical list of towns with their population, 2006 and 2011"
^ Census 2011 Population Classified by Area Appendix 2 "Towns with Legally Defined Boundaries"
^ a b c d e f g h Census 2011 Population Classified by Area Table 5 "Population of towns ordered by county and size, 2006 and 2011"
^ Census 2011 Population Classified by Area Appendix 4 "Population of Towns or Environs/Suburbs which are located in more than one County"
^ a b c d Census 2011 Population Classified by Area Appendix 3 "Extensions to Legal Towns and Boroughs since 1926"
^ a b Census 2011 Population Classified by Area Table 6 "Population of each province, county, city, urban area, rural area and electoral division, 2006 and 2011"
For City, Borough, and former UD towns, there is an explicit summary row in Table 6 for the town. For former commissioner towns, the area is that of one or more electoral divisions in a rural area of the relevant county. These divisions are noted. ^ "The Local Government Commission and Boundaries". Stronger Local Democracy- Options for Change. Department of the Environment, Heritage & Local Government. April 2008. Archived from the original on 29 June 2012. Retrieved 10 April 2012. Those towns which had their boundaries extended, for electoral purposes only, in 1994, represent an anomaly, as residents of the environs of a town may help elect the town council but do not fall within the functional area of the council. A number of these towns’ boundaries have been altered since 1994, however in the majority of cases the anomaly continues to exist. The correction of this anomaly would appear to be in order. ^ Department of the Environment, Heritage and Local Government (2010). Local Elections 2009: Results, Transfer of Votes and Statistics (PDF)|format= requires |url= (help). Dublin: Stationery Office. ISBN 978-1-4064-2510-9. ^ a b Census 2011 Population Classified by Area Appendix 1 "Census Geographic Definitions"
This page was last edited on 30 January 2019, at 21:21 (UTC).